Are you a DIYer with real skill? Or a lowly weekend hacker of attempted drywall? 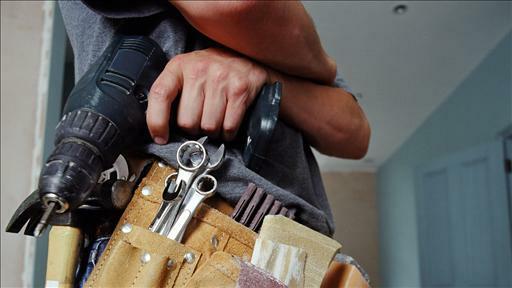 If you had the opportunity to show off your do-it-yourself skills, would you share them online? I propose The Home Depot (HD) do just that…encourage their online community members (fixers/decorators of home stuff) to show us their measuring, wiring and/or painting expertness…or whatever they like! I’m sure most new home owners, in their desperate Google search to repair, have seen at least one HD “How-To” video. These videos are just part of HD’s social media campaign (launched in 2010) to “Bring their Culture to Life in Social Media.” The DIY videos are created by a variety of in-store associates, from different departments, showing how-to-do many household repairs, renovations and decorating. Fairly yawnish. Instead of the HD associate doing the demonstration, wouldn’t it be much more interesting to watch your neighbor Hal attempt to build a deck? …Sans the CC of course. These personalized additions to the social media How-To video archives, would be completely do-able. HD already has their YouTube account set up, although another category will have to be added (“DIY For Real”). Rules for submission would have to be determined too and the videos pre-screened for content, but the possibilities are endless. They could prompt more online/lateral dialogue among customers and possibly energize the mundane HD forums. Polls/ratings could be added to the videos. Not enough votes? Off line it goes. Lots of votes? The video star/creator gets a gift certificate to guess where. With a little more management of their current social media, HD could considerably increase their likeability across all their networks …especially from the guy/gal next door. And remember, content is produced by the users at no expense to HD, a big savings of time and money. Video IS the best social media outlet for HD and they should continue to massage this venue to their benefit. Adding a “real” twist on their traditional demo video, could be just the beginning of better outcomes for their transmedia storytelling. This entry was posted in Creative/Marketing SM, SM Trends and tagged DIY, home depot, How-to video, Social Media, transmedia storytelling, you tube by KristieVV. Bookmark the permalink. Hey Kristie, awesome job. I really love the idea and how it incorporates transmedia storytelling. It is a great and creative way to engage people on social media, plus with Home Depot’s trusted name, the DIY channel becomes more of a destination for DIY’ers than just searching on YouTube. Nice work!